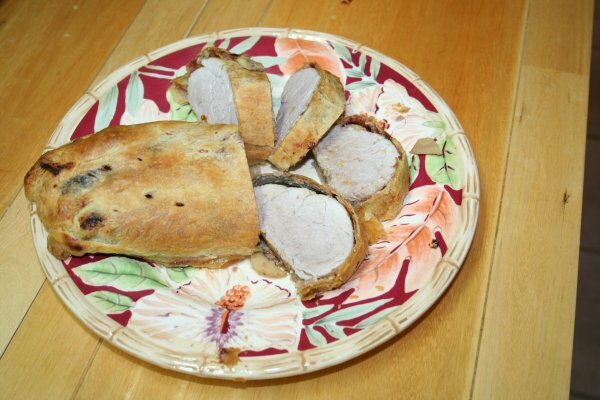 How to Make Pork Tenderloin in Puff Pastry « Super Mom – No Cape! The second year we lived in Germany, I took some evening cooking classes where we were taught a selection of the traditional dishes served during the Christmas holidays. Our instructor told us that her family served Schweinefilet im Blatterteig (Pork Tenderloin in Puff Pastry) on Christmas Day. Our family always cooks a big turkey for Christmas Day and we weren’t about to break that tradition. So we decided that year and for all the years after that (until we moved to the States) that this would be the main course for our meal on Christmas Eve. 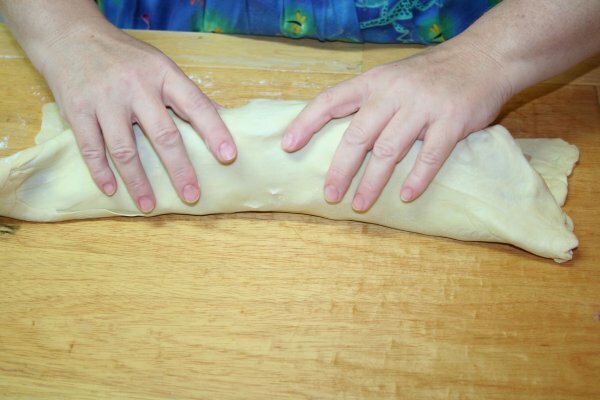 The first Christmas we lived on Maui, I wasn’t able to find puff pastry in any of the grocery stores. Our children voted for lasagna instead and ever after, lasagna replaced the Schweinefilet im Blatterteig. 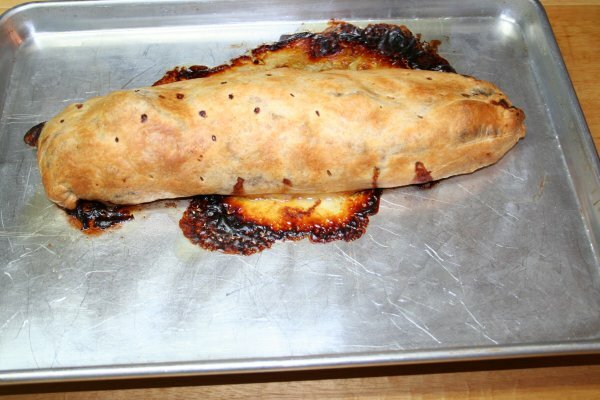 For the final day of German Cooking week on my blog, I decided to dig the recipe out of my recipe box and make it again. Defrost the puff pastry according to the directions on the package. 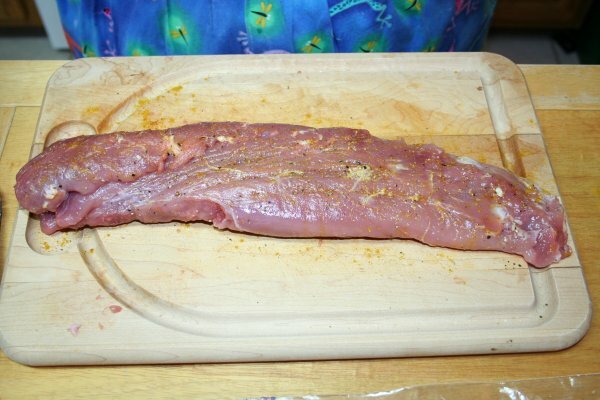 Trim the silver skin off the tenderloin. 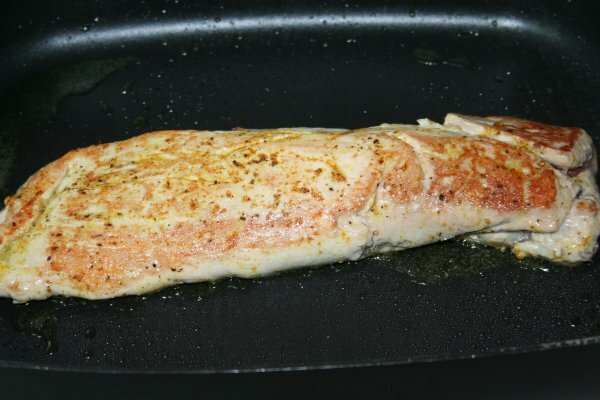 Rub with salt, pepper and curry powder. Brown the tenderloin well on all sides. 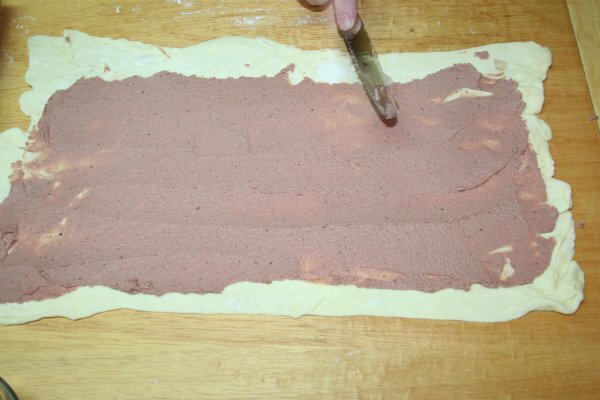 While the tenderloin is browning, roll out the puff pastry on a lightly floured surface. 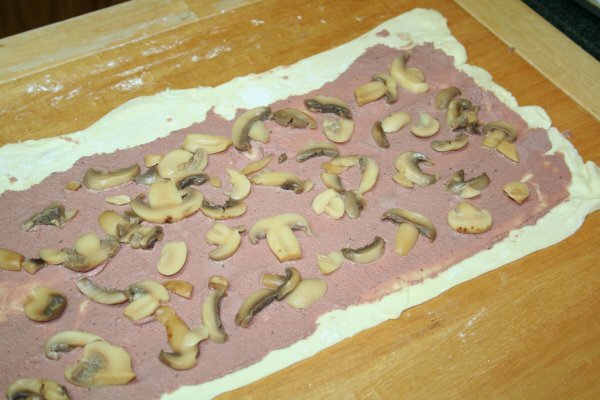 Spread the liver pate over the pastry. 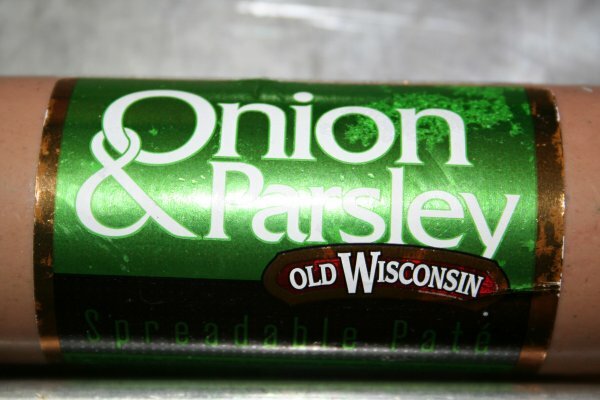 When I went shopping for this dish, I wasn't able to get liver sausage, so I used this onion and parsley liver pate instead. Since the parsley was already in the pate, I didn't need to add the parsley that is called for in the ingredient list. Add a layer of the canned sliced mushrooms. 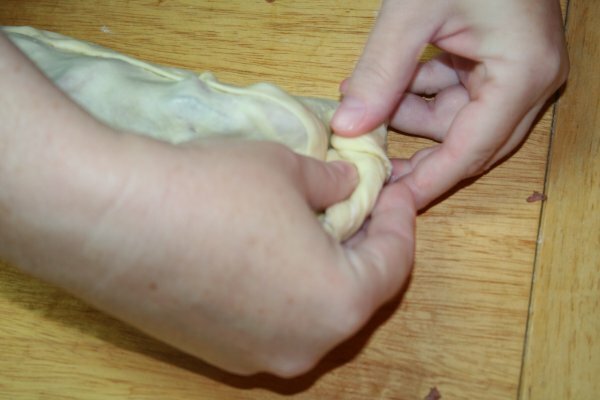 Once the tenderloin is a nice golden brown colour on all sides, place in the center of the pastry. 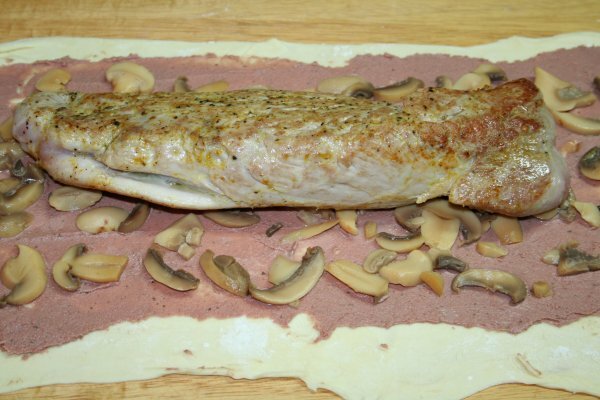 Wrap the pastry over the tenderloin and seal the edges. Slice and arrange on a plate ready to serve with your favourite side dishes. I hope you’ve enjoyed the recipes I’ve shared during German Cooking Week as much as I’ve enjoyed sharing them.